Information: Richard Chase, author of books about singing games. 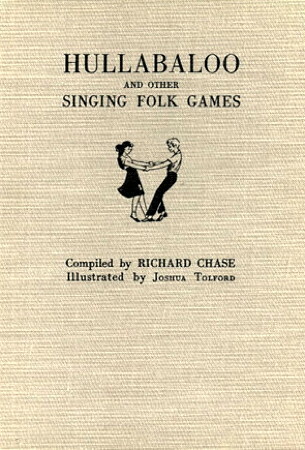 Hullabaloo and Other Singing Folk Games, by Richard Chase. Boston: Houghton Mifflin, 1949. Music and instruction for 18 American-English singing games. Illustrated. Old Songs and Singing Games. Chase, Richard. ?, N.C.: Univ. of North Carolina Press, 1938.